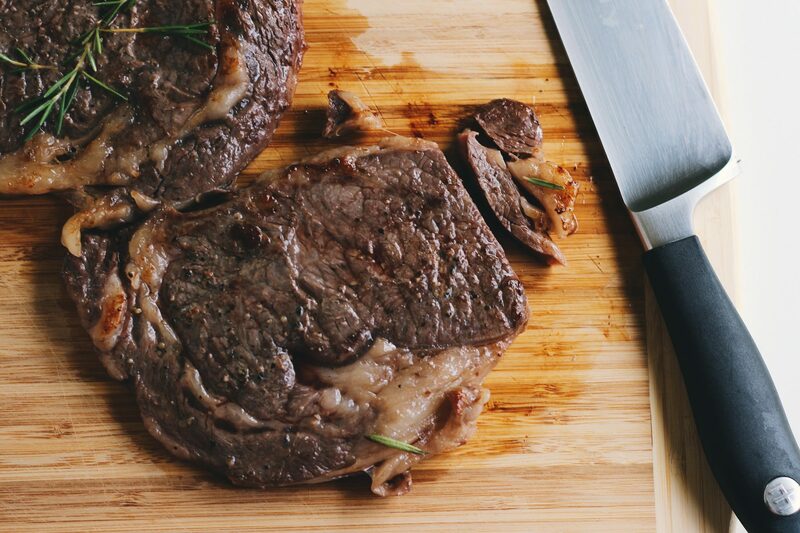 Learn how to cook the perfect sous vide steak in a few easy steps. Anyone can do it! This post is sponsored by Everywhere Agency on behalf of FoodSaver®; however, all thoughts and opinions expressed are my own. 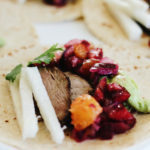 I am so happy that sous vide cooking is more accessible and easier than ever now. 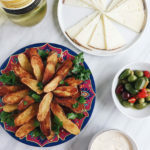 When I was first introduced to this method, I was working at a Michelin-star restaurant in New York City about 10 years ago. Sous vide cooking was new, modern, and completely perplexing to me. I watched in wonderment as the prep cooks vacuum-sealed steak and fish and dropped them into giant basins to slowly cook. When it was the Pastry departments turn to use the machine, I was first in line to learn. I was mesmerized by the technique and in awe of how much flavor we achieved from sous vide cooking fresh pears with white wine, honey, and bits of clove and cinnamon. Sous vide cooking was unlike anything I’ve ever seen, or ever tasted. Which is why I’m ecstatic at how easy it is now for the cook to sous vide in their own home. You don’t have to had worked in a Michelin-star restaurant to do it. 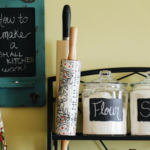 You don’t have to be an expert cook. And you don’t even need to invest a ton of time. There are so many amazing sous vide cookers out there that are accessible to the home cook. 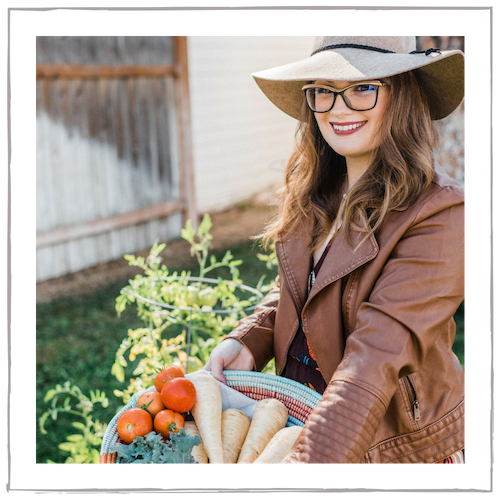 Some even incorporate technology and allow you to cook from an App on your phone. How amazing is that? A reliable cooker. I highly recommend this one (*affiliate link), which you can get right from Amazon. It connects to your phone via Bluetooth and it has an amazing App. Modern cooking, meet technology. 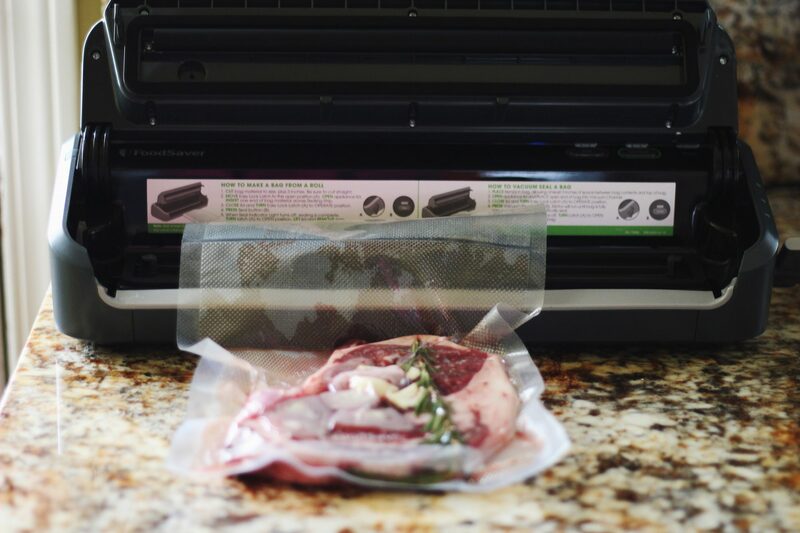 FoodSaver® Sous Vide Vacuum Seal Bags with the FoodSaver® FM2000 Vacuum Sealing System. This system and sous vide bags are amazing. I think that using a vacuum seal system is crucial to successful sous vide cooking. After all, sous vide translates to “under vacuum.” More on this fantastic system and bags below. A little research. 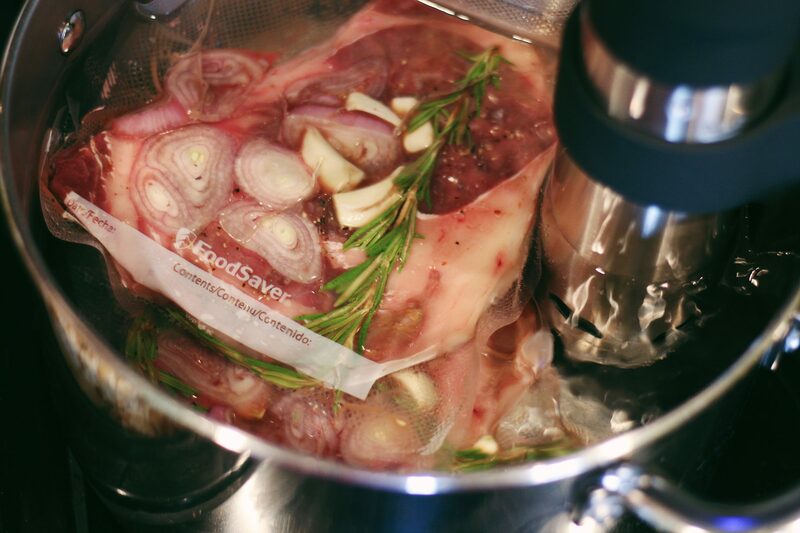 If sous vide cooking is completely new to you, take a little time to research about it. Be prepared when it comes to what you want to cook, whether it’s a sous vide steak like below or a few carrots. Sous vide cooking does take a little research in regards to temperatures, cooking times, and best practices. But it’s worth it. 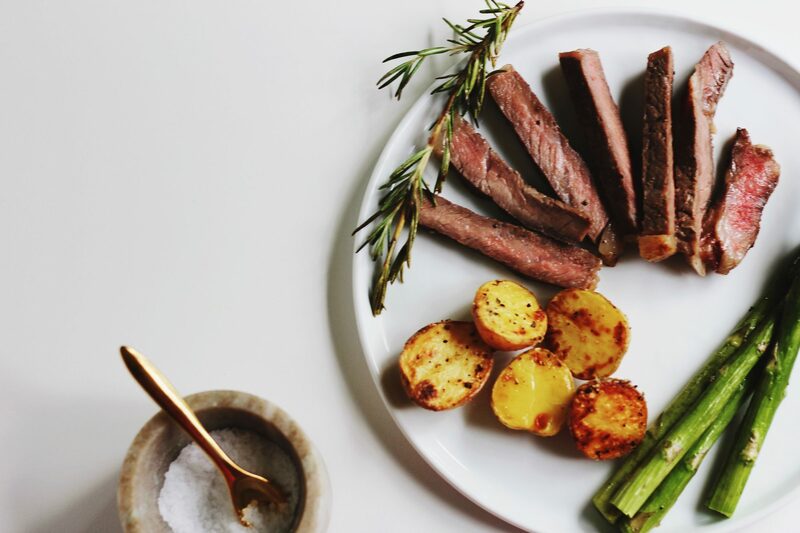 When it comes to sous vide cooking, one thing always comes to mind: steak. I would argue that it’s the best cooking method when it comes to steak. It’s also easy and efficient. And it comes out perfect every single time. Let’s discuss how to make the perfect sous vide steak. Good news: every cut of steak works wonderfully for sous vide. This includes tender cuts such as tenderloin, strip, and ribeye, and butcher’s cuts like hanger and skirt. Cuts such as skirt steak that can be chewy when not cooked properly really shine in sous vide cooking. Before you seal the bag, don’t forget the flavor. Everything you add to the vacuum sealed bag will infuse into the steak when cooking. 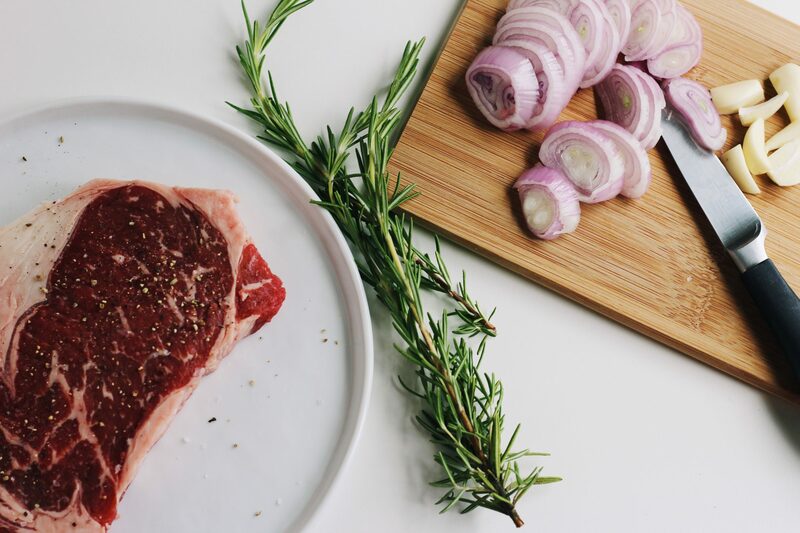 Generously season the steak on both sides with sea salt and pepper, and then add your aromatics. Make sure to place your additions on both sides of the steak in the bag. Now that you’ve got your steak and all of your favorite flavors, it’s time to vacuum seal the bags. 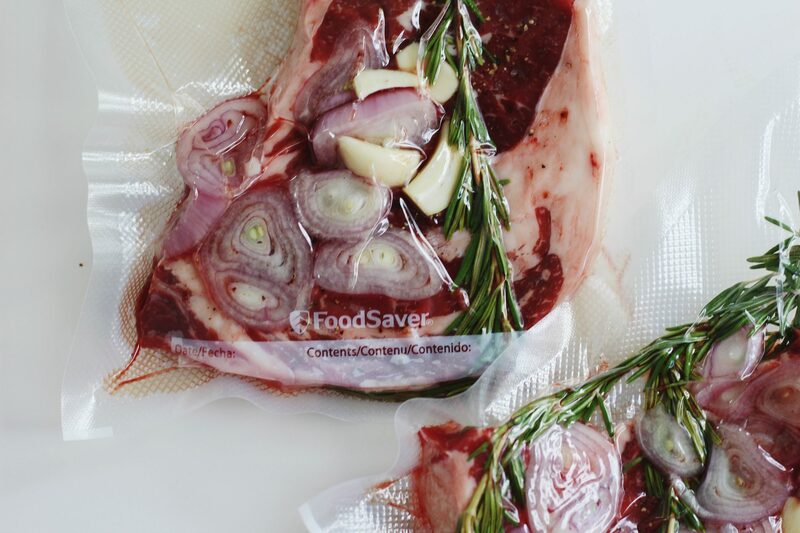 I use (and love) FoodSaver® Sous-vide Vacuum Seal Bags. These bags are 100% air-tight, ensure consistent cooking results, and best of all: do not float during sous vide cooking. The bags are strong, durable, and heat-sealed. They never tear or puncture when cooking. And they’re versitale. They come in both quart and gallon sizes. These BPA-free bags help keep food fresh for up to 5x longer than ordinary storage methods and can go straight from the freezer to a hot water bath, no defrosting required. I also use the FM2000 Vacuum Sealing System with these, which is easy to operate and doesn’t take up too much space. 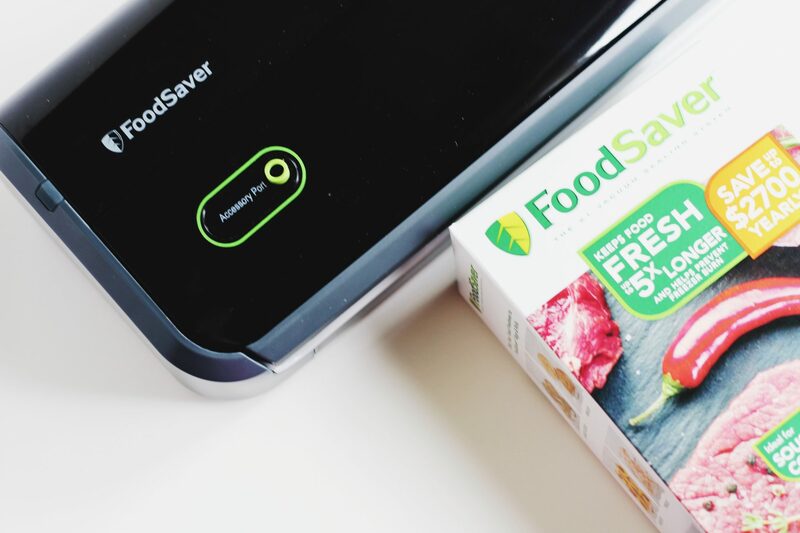 You can purchase FoodSaver® Sous-vide Vacuum Seal Bags (as well as the FoodSaver® FM2000 Vacuum Sealing System) in-store or online at Target. For the month of July, they are offering 15% off both products! No matter how you prefer your steak, you can sous vide it and get it perfect every time. RARE: Cook at 120°F for 1 hour or up to 2 1/2 hours. MEDIUM-RARE: Cook at 129°F for 1 hour or up to 2 1/2 hours. MEDIUM: Cook at 135°F for 1 hour or up to 4 hours. MEDIUM-WELL: Cook at 145°F for 1 hour or up to 3 1/2 hours. WELL-DONE: Cook at 160°F for 1 hour or up to 3 hours. The only downside to sous vide steak is that you don’t get a nice browned crust. 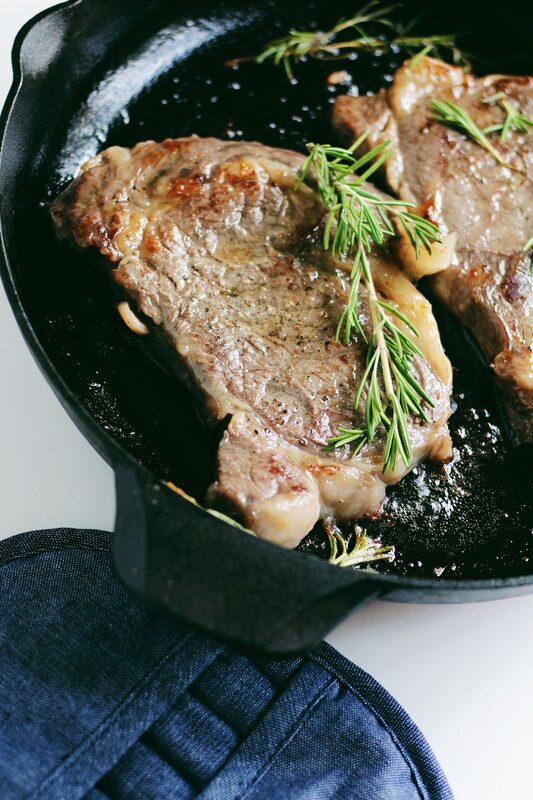 This can be easily fixed by searing your cooked steak in a very hot cast iron pan for just a few seconds per side. Searing the steak alongside the aromatics you added to the bag will result in even more flavor. Finish the steak off by adding a smear of butter to the pan. Let the steak rest just a minute or two after. 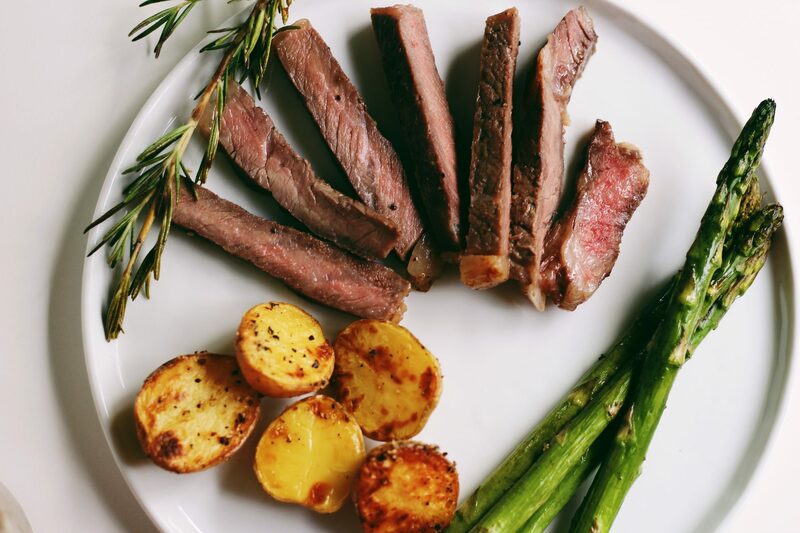 You do not need to let sous vide steak rest as long as steak prepared with traditional cooking methods. Easy, right? Now that you know how to sous vide steak the most delicious, tender, juiciest steaks are waiting. 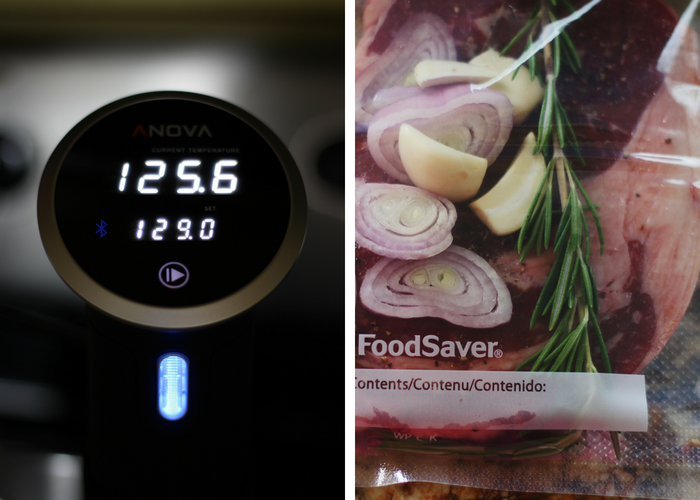 Have you ever tried cooking sous vide before? Let us know in the comments below, and don’t forget to check out FoodSaver® Sous-vide Vacuum Seal Bags at your local Target! I’m not even a huge fan of steak, but you make me want some. That looks delicious. This looks so good! Your post makes me really hungry haha. I’ve never tried sealing my steak before and it’s a great way to marinate and keep everything fresh. I feel like a dunce! Either I know of sous vide by another name or I have never heard of it. My belly is wanting that steak about now though and I love the savings aspect. Thanks for telling us about the Food Saver and bags because I never know which brand works best for what food. Oh this looks so delicious! I want some now! I had heard of the concept before, but didn’t know the correct name for this type of cooking. I love the idea that even the cheaper … more affordable cuts of steak can be cooked to perfection with this method. This is definitely something I am interested to try for our family. We love our steak but never tried cooking it ala sous vide. 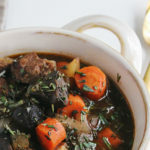 So will be looking into this as your post has made it so much more easier to follow and understand the cooking method. I keep hearing about sous vide. I would love to try it out sometime. 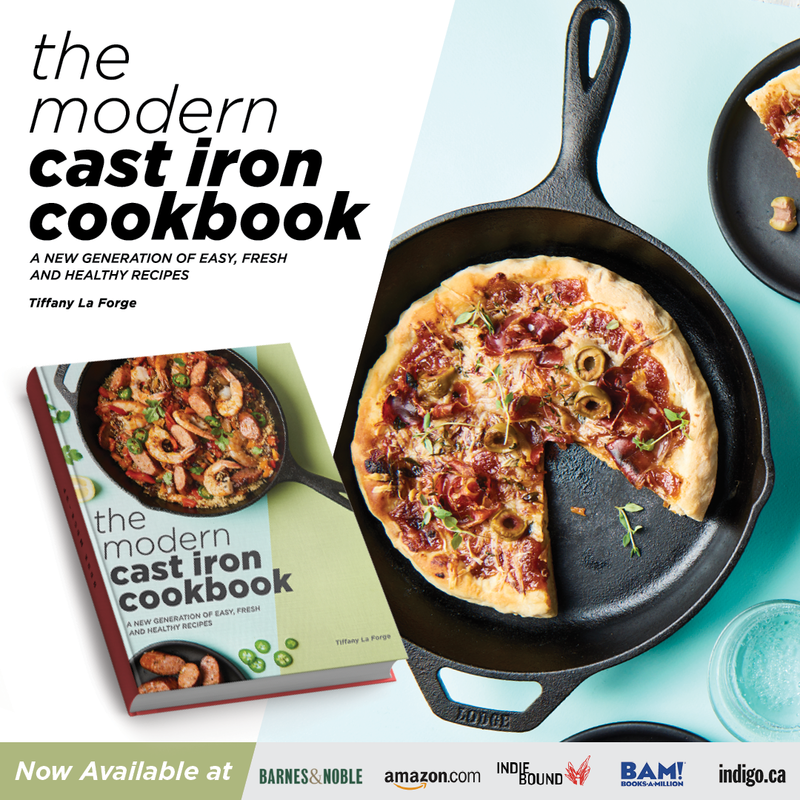 It seems like a great way to cook. Aromas are really a key factor in great steaks. 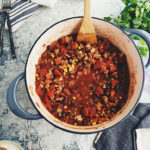 I love this recipe and method! This post had made me so hungry! I have never tried this before and you can be sure i will now! I love steak and can never do a good and successful steak for my family. Most of the time is just too hard. Glad that you have come up with the steps by steps. I also love how garlic are used as this is one of my my favorite spice. 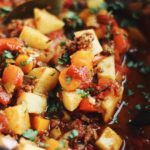 My husband has done this and it was so tasty! I’m going to have to try these tips! Oh my goodness! Your photos are nothing short of beautiful and just made me crave steak! Loved reading your tips! Thank you! !